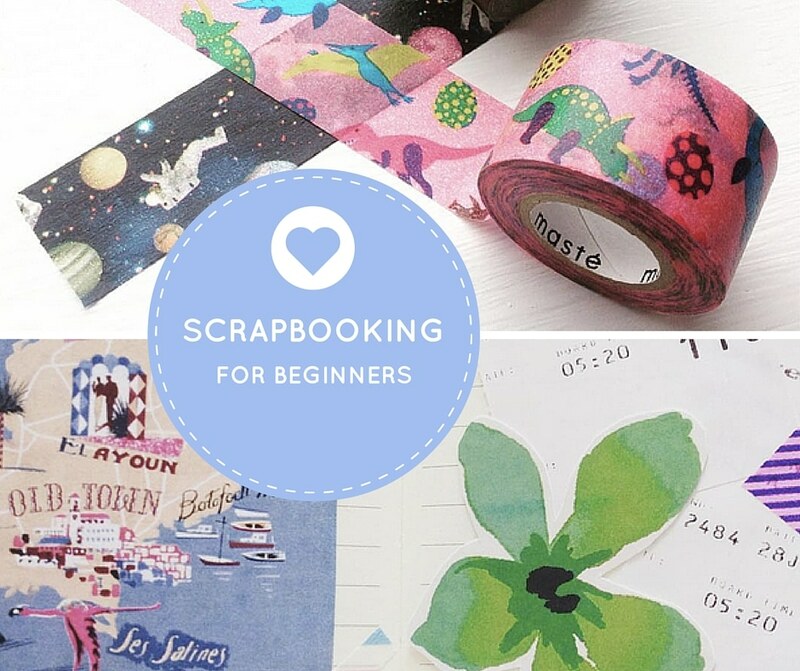 Probably the simplest use of washi tape ever. So this weekend we took a trip to Norwich to visit my brother. Yesterday he, Mister Podge and Pickle spent the day at Latitude, while I took Chops for an exciting playdate (featuring an almost 2 year old, a just-turned 4 year old, pine cones, balloons and homemade rock cakes!) followed by an early night. Before the boys went off on their big adventure, we wanted to make sure that if Pickle got separated, he could easily be found and reunited with his dad and uncle. Mister Podge was sure to find a memorable, easy-to-find rendezvous place as soon as they arrived, but I also wanted something that he couldn’t remove (and wouldn’t fall off!) to allow another adult to easily track down his grown-up. 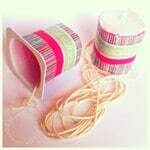 The solution was obvious – a washi tape wristband – instant festival ID for kids! I took a length of washi tape, stuck it to a length of sticky tape (to make it sweat/water-proof and also stop it from sticking to Pickle’s arm), then wrote: ‘IF LOST, CALL DAD…’ and his mobile number on the wash tape. I used another length of sticky tape to make the outer side waterproof, then wrapped it around Pickle’s wrist and stuck the ends together. And that was it! 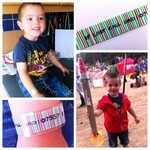 5 minute washi tape wristband ID for kids = a festival ready Pickle! 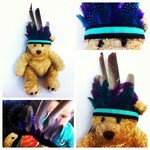 Of course we had to make one for his Nonno bear too! Do you have any more tips for taking toddlers to festivals..? What a great idea!!!! 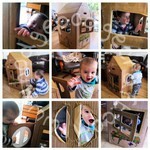 I found your blog from over at Paper and Stitch and found your ideas wonderful! I cant wait to spend more time catching up on your previous posts! What a great idea and so much funkier than those awful white wristbands they give you at the entrance. Now that my kids are a little older they’re a bit embarrassed to wear a ‘lost child’ wristband but I think I could persuade them with this one! Thanks so much for sharing the idea. Now rushing off to find you on facebook so I can tell our followers about the idea too, they’ll love it! Just found & friended you on Facebook and added a link to this post – hope that’s okay!